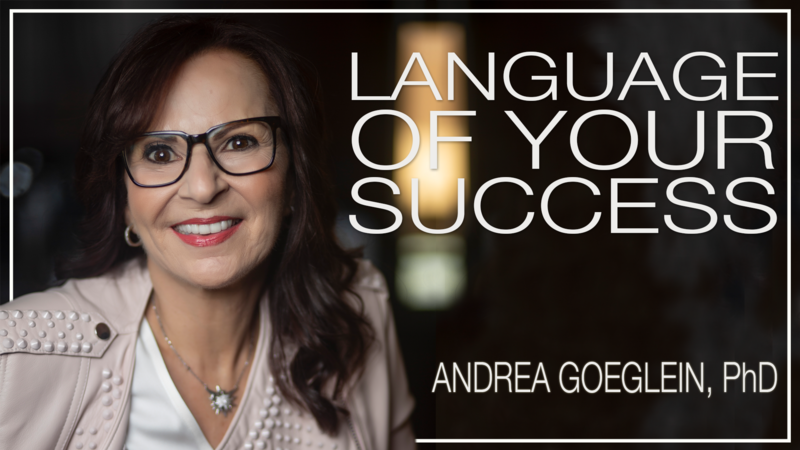 I attended Andrea’s recent seminar The Business of Flourishing. The event was helpful in allowing me to define my strengths and to contemplate how to use these strengths in my daily business and personal activities. Andrea provided a great speaker and the seminar was very thought provoking. It was so much fun to learn about my strengths, to see opportunity in challenges, and to meet others who reach to flourish. Even better to apply my new knowledge in my relationships and to see the results. Thanks, Andrea. Inspiring. You are invited to attend any or all parts of this series. Contact Andrea to find out when your next opportunity to flourish is or visit our Blog for updates. 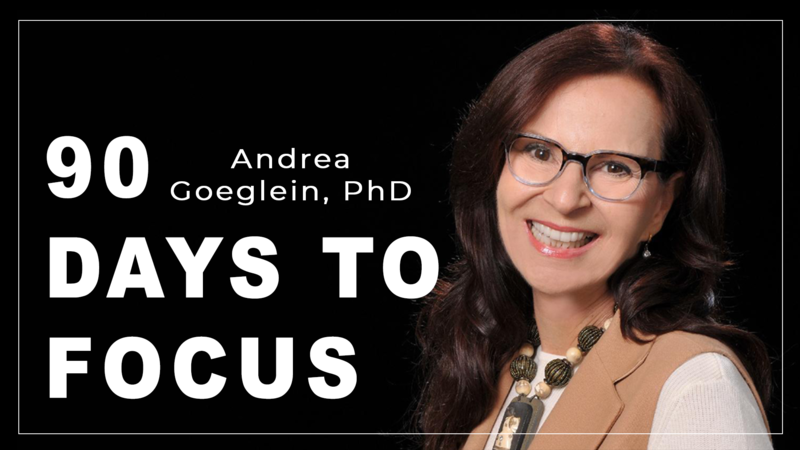 An entrepreneur herself, Dr. Goeglein uses the principles of Positive Psychology to ignite the spirit of business people creating and driving new directions in their lives. No matter where you are on the “crooked road of success,” she will guide you in a customized process that serves your goals, uses your strengths and lasts a lifetime. Andrea is a wonder teacher. She taught me how to change my behavior, how to make better choices and explains the foundations of her teachings. Four years prior to my retirement as CEO of the company I had founded, Andrea started me planning my second career so that I was in an upswing at the time of retirement and anxious to get on with my new business life. The time I spent working with Andrea was nothing short of inspirational. She assisted me in developing and recognizing my inner strengths and instincts. Today, I enjoy the success of my new business and continuing a path of growth even during these challenging economic times. 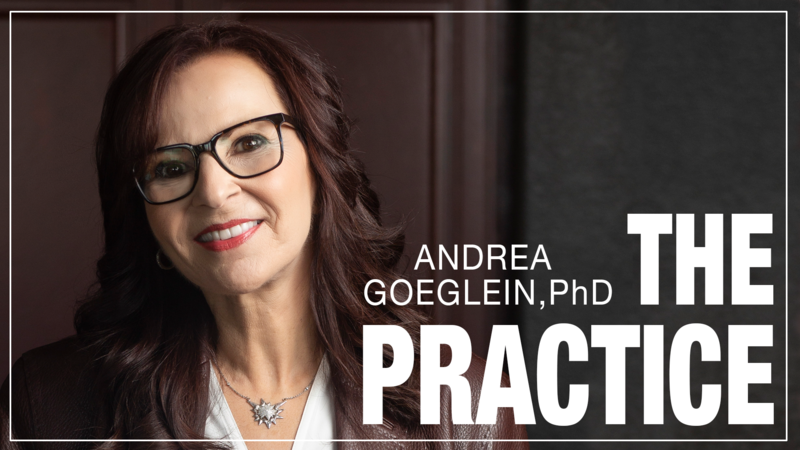 Andrea was able to guide me toward focusing on goal-achieving activities and thoughts, and away from concepts and past experiences that held me back. Putting the practice of Positive Psychology to work for you. Need a speaker who will energize your audience and help them to defy the boundaries of their reality? There is a definite ingredient you need if you want your dreams to come to life. You need to live your life with the sole purpose to defy reality. Your dreams will only become real if you learn to defy reality. You need to make stress your new energy drink. You need to not die waiting to be brave. Instead, learn to be brave enough to take action and make your dreams your reality. Andrea Goeglein knows a thing or two about defying reality. She altered the truth of her age and got a job at a Wall Street brokerage firm at 14. By 24 she opened her first operating business – a Haagen-Dazs ice cream store in Reno, Nevada. Many businesses and a PhD in Organizational Psychology later she felt she had experienced enough stress and anxiety to be an expert.